Pensacola Beach is an ideal vacation destination year-round. Pensacola Beach Vacation Rentals offer a variety of accomodations with access to the lovely, intimate beach community of Pensacola Beach. You will find a wide range of vacation rental choices, from high-tech high-rises with panoramic views of the pristine white beach and the lovely Gulf of Mexico to single-family houses, gated communities, all-inclusive resorts and small condo properties. 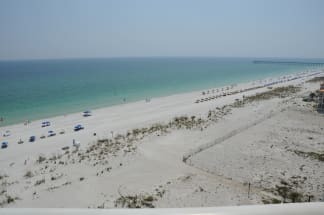 The Vacation Rentals are just a short drive from the unique shopping and dining options in Navarre, Gulf Breeze and Pensacola proper just across the bay. If you are looking for adventure or exploration Nature trails through the neighboring Gulf Island National Seashore offer a glimpse of unspoiled beauty and native wildlife. The nearby Blackwater River State Forest, known as the “Canoe Capital of Florida,” is a popular location for canoeing and kayaking. For the athletically inclined, swimming, fishing, diving, snorkeling, and sailing are all popular options Also, the National Naval Aviation Museum is one of the largest aviation museums in the world. 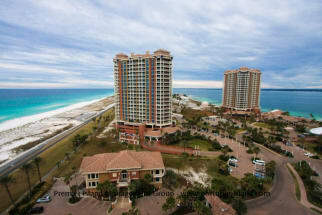 Browse our selection of luxurious House rentals in Pensacola FL as well as our Pensacola Beach condos for rent! Each listing has an "Email Owner" button as well as a phone number that you can use to contact the property owner directly. Book direct with the owner and save on booking fees!